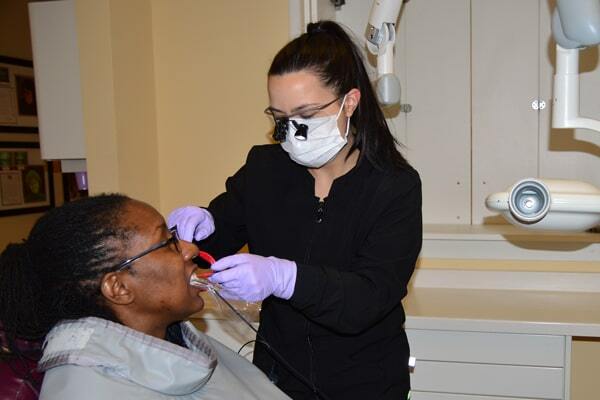 As your preferred general dentist, Dr. Patricia Jackson Babcock is excited to assist you and your family in improving your overall oral health-care. Did you know excellent oral health leads to a healthier lifestyle? It's true! A healthier mouth can lead to a healthy body. That's why at Elkridge Family Dentistry, we stress preventative care to identify a problem before it causes damage. 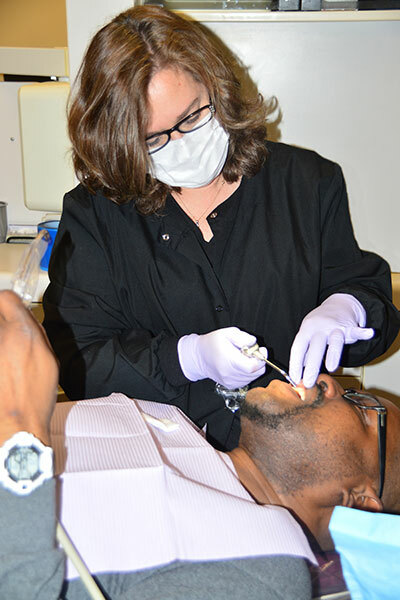 Because she is passionate about dentistry, Dr. Jackson Babcock loves continuing her education in the dental field. As a result, she is able to provide superior oral health care and outstanding service as one of the best dentists in Columbia, MD. "I am so grateful to you and your team for the meticulous care I felt you gave me while working on improving my smile. Ever since my teenage years, I have wanted to improve the look of my front teeth. I finally decided to commit to the treatment plan you suggested. It has been five years since the procedure was completed and I could not be more pleased. When I look at pictures of myself prior to having this work done, I think: Why did I not have this done earlier?" Sleep apnea affects over 18 million Americans each year and 75% of sleep disorder cases go undiagnosed. At Elkridge Family Dentistry, we can help combat your sleep apnea to help you feel rested. Please contact us to get started. Good overall dental hygiene leads to a healthier lifestyle. At Elkridge Family Dentistry, we believe in encouraging our patients through interactive and informative appointments. We work with our patients and show them the best techniques to keeping their teeth and gums healthy. With prevention, we can identify a problem before it causes damage. Not only will you feel healthier with improved oral hygiene, you’ll save money! When teeth are not well-cared for, expensive and complicated procedures may be necessary whereas preventative dentistry helps avoid such procedures. If you have a cavity or small, cracked amalgam, a filling will most likely be recommended. Metal-free fillings, also called composites, are designed to match the tooth’s shade and blend in with the tooth enamel, thus contributing to a more natural look. In her 25 years of experience, Dr. Patricia Jackson Babcock has completed thousands of composite fillings. Scaling and root planing is a deep cleaning procedure which removes unhealthy bacteria deep below the tooth surface, helping gums, teeth, and bone to heal. If you have a severely damaged or decayed tooth, the only option may be removal. We perform dental extractions for both adults and children, but for complicated cases we work closely with a well-trusted oral surgeon. A dental crown is a tooth-shaped cover that is placed over a damaged tooth to restore its shape and appearance. A crown not only protects the fragile tooth from further breakage, but also strengthens the remaining tooth structure. When you don’t want or are not a candidate for a dental implant, a bridge is a great restorative option. A dental bridge connects a false tooth to crowns on either side of a missing tooth in order to return the natural looking appearance and long lasting support and function of your teeth. Is nighttime teeth grinding getting to be too much? Does your child play a school sport and need optimal teeth protection? Are you disappointed with the nightguard/mouthguard you purchased at the nearby drugstore? If so, we are able to offer you a superior answer. With personalized nightguards and mouthguards in Elkridge, MD, our practice assists you in obtaining a perfect and comfortable fit! We can customize the mouthguard based on how strong the patient’s bite is, how much teeth wear they have, and their tolerance level. Therefore, we offer three different mouthguard or nightguard thicknesses depending on the needs of our patient.